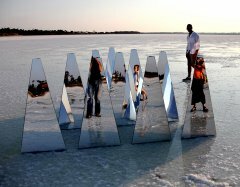 Going back to Pythagoras, and introducing the topics of numerology, cosmology and mysticism, the artist opens a window into the ancient philosopher’s theories on the fundamental contradictions between body and soul, finality and infinity, order and chaos. 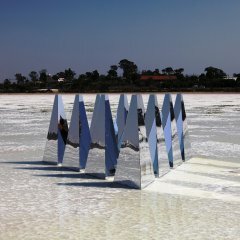 The work has an interactive relationship with its surroundings. 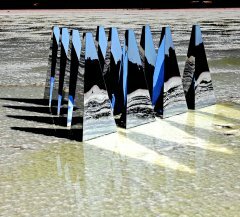 At no time can it be the same. 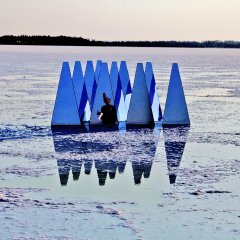 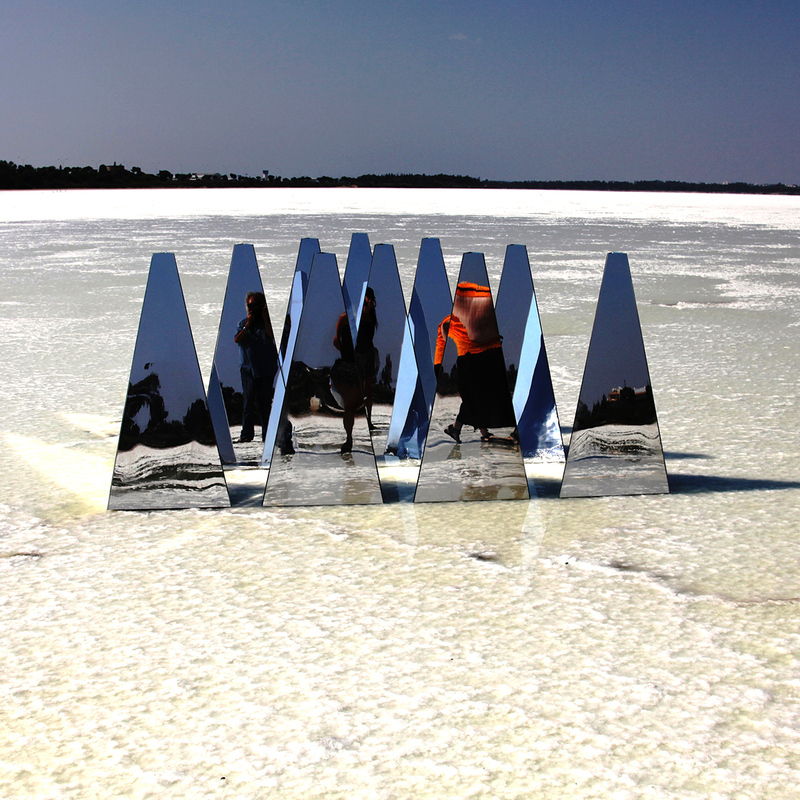 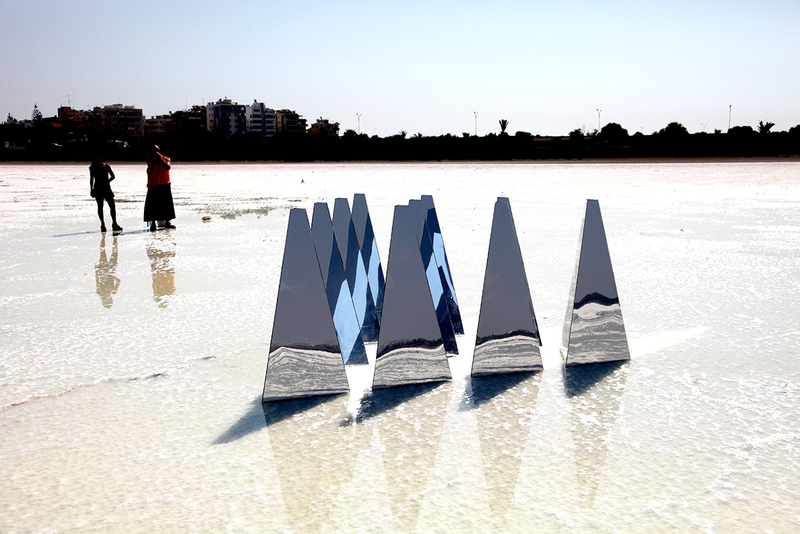 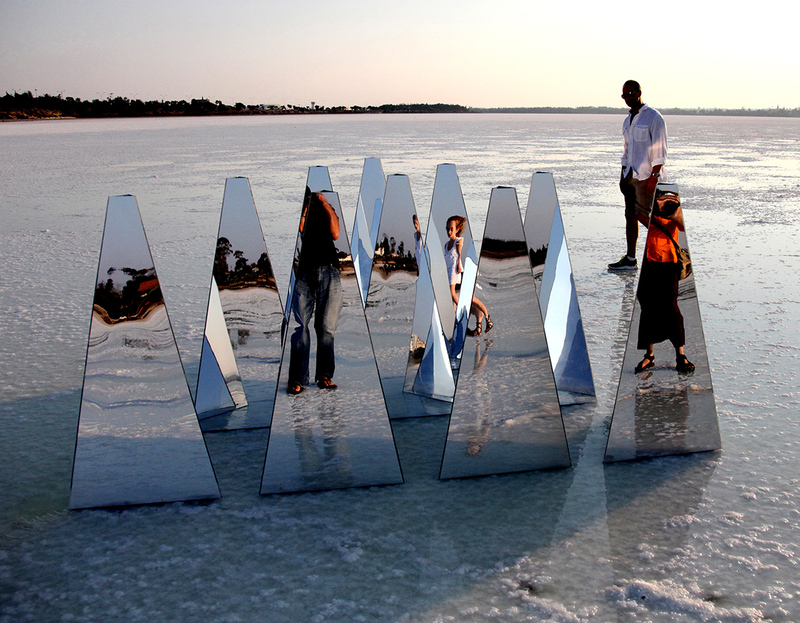 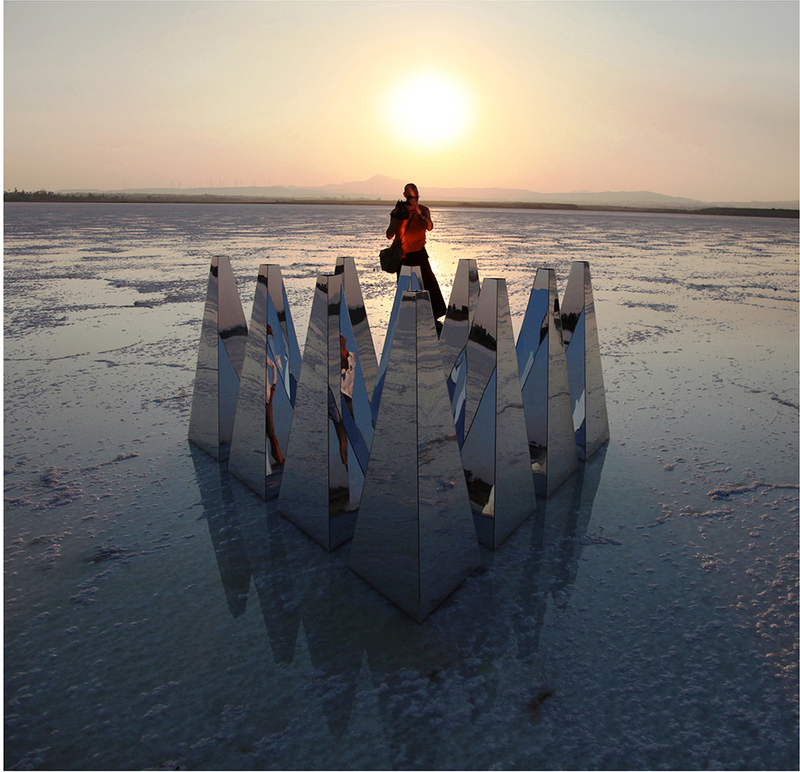 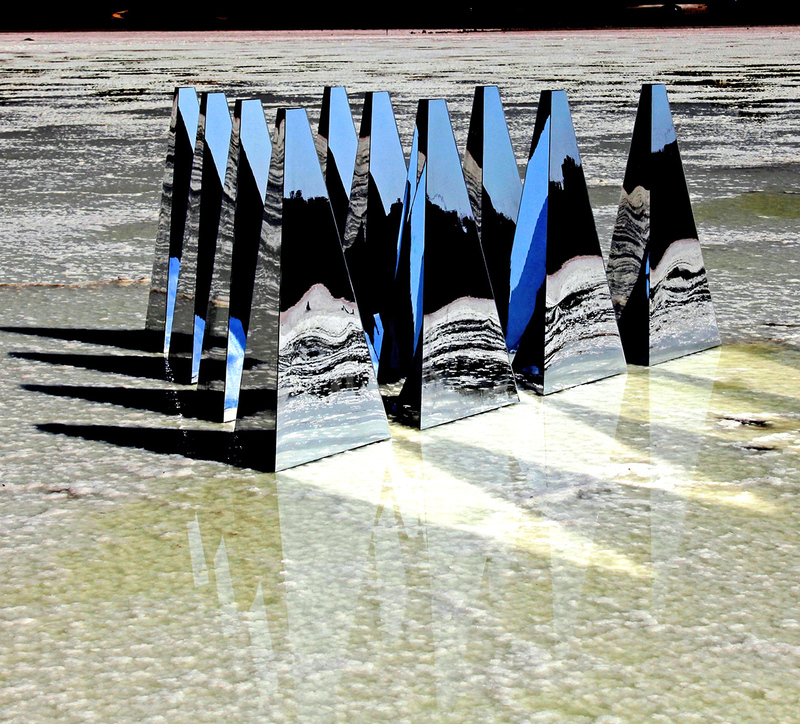 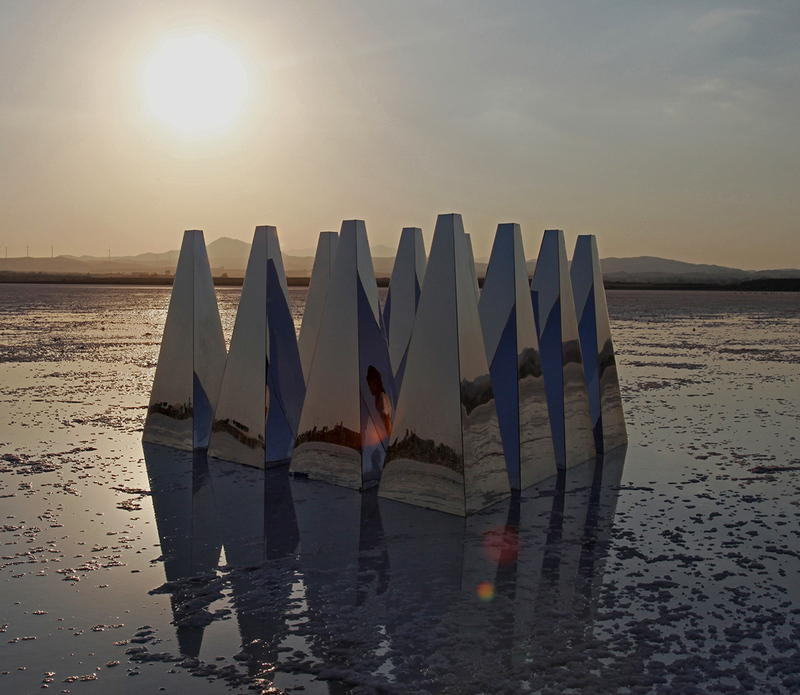 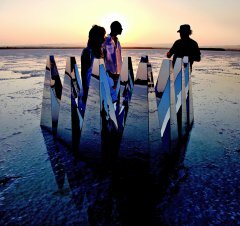 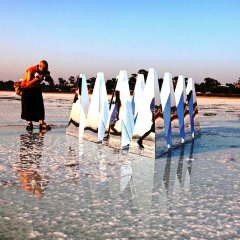 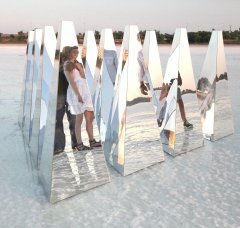 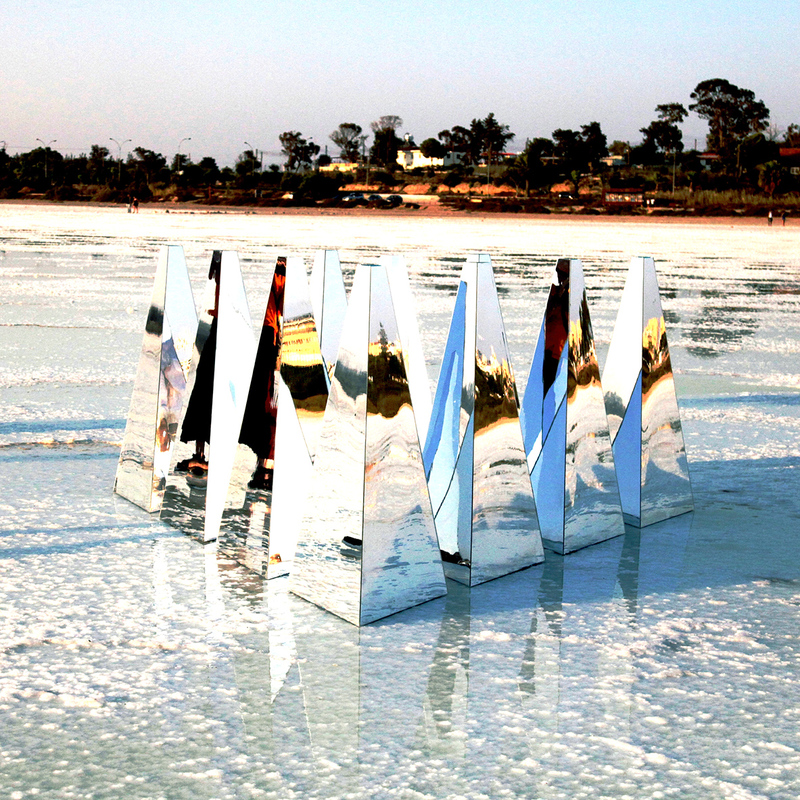 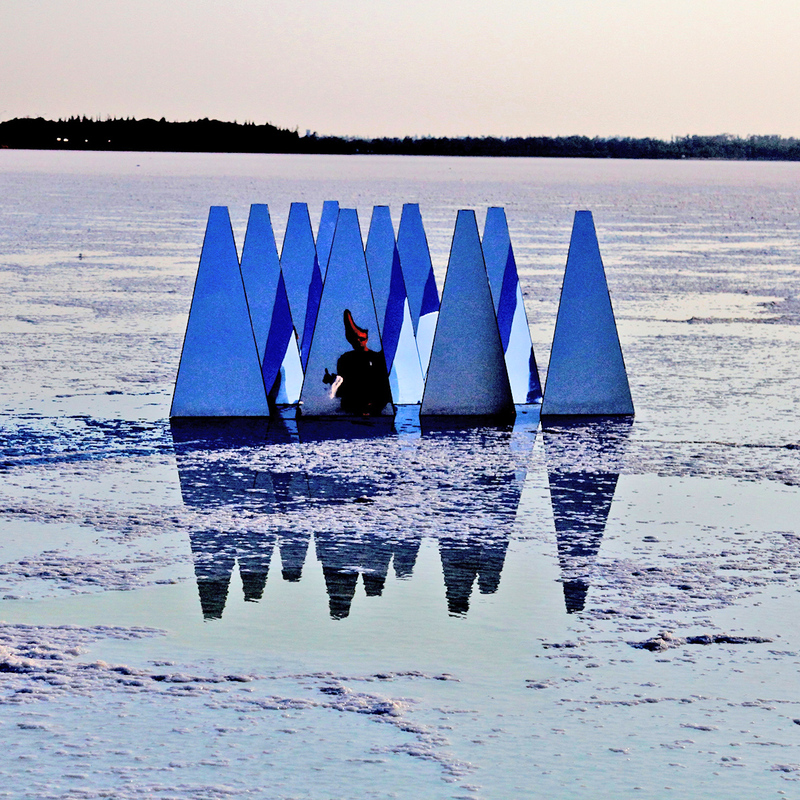 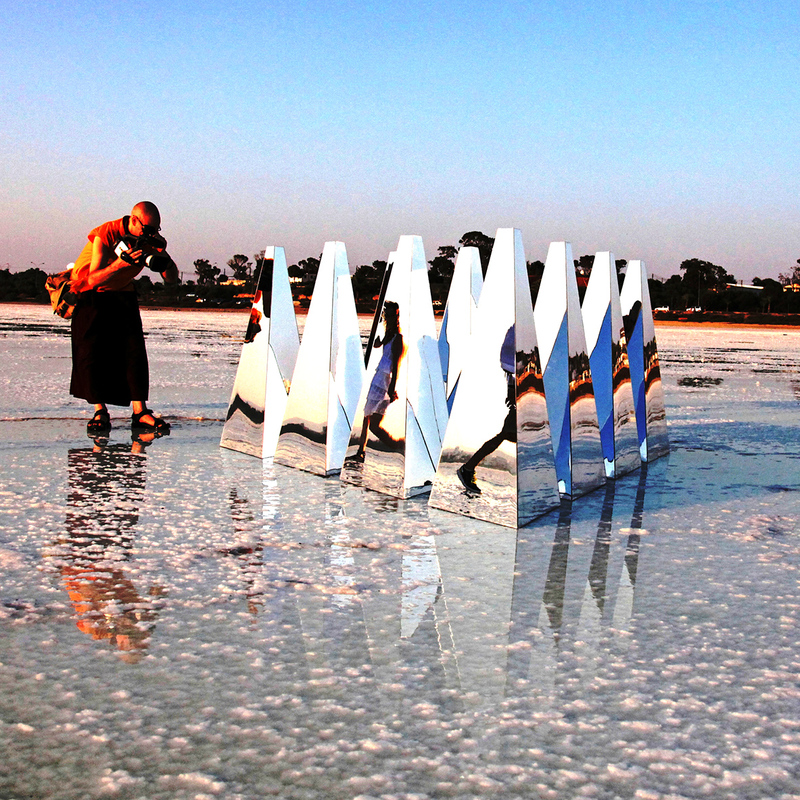 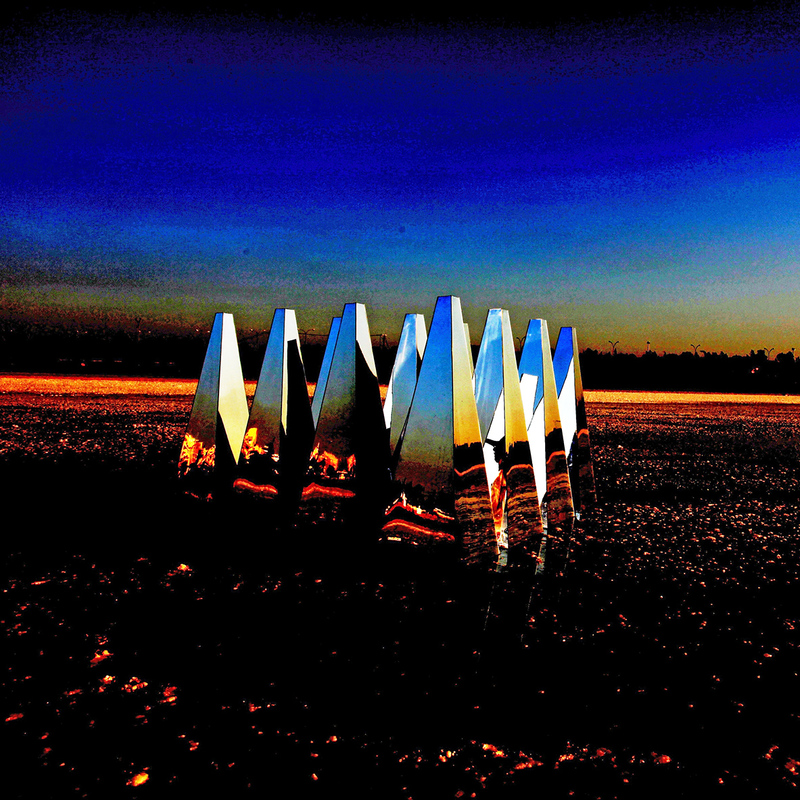 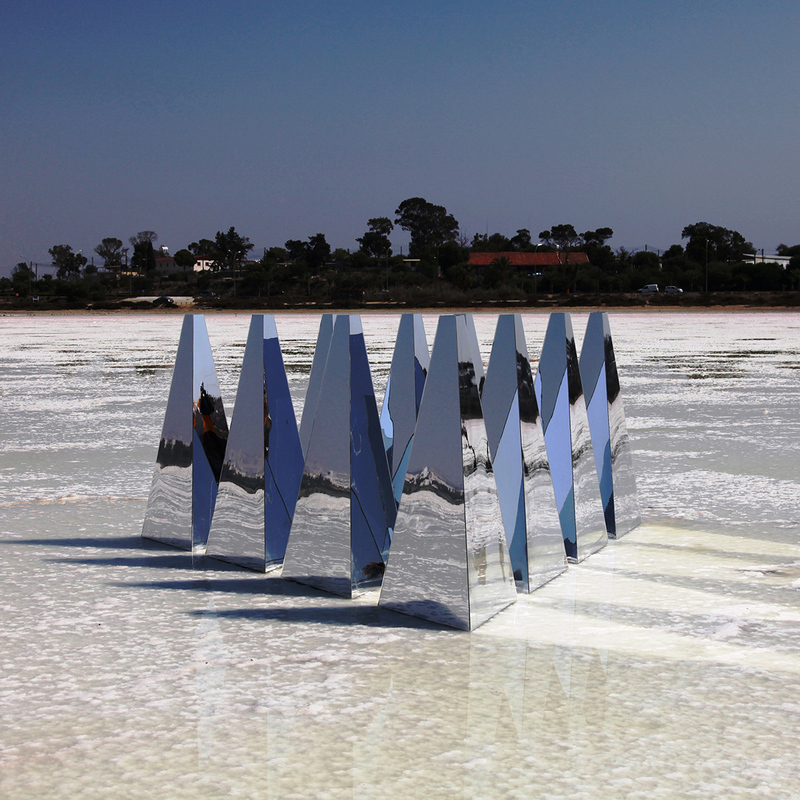 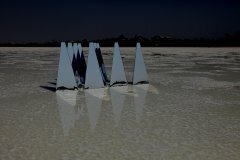 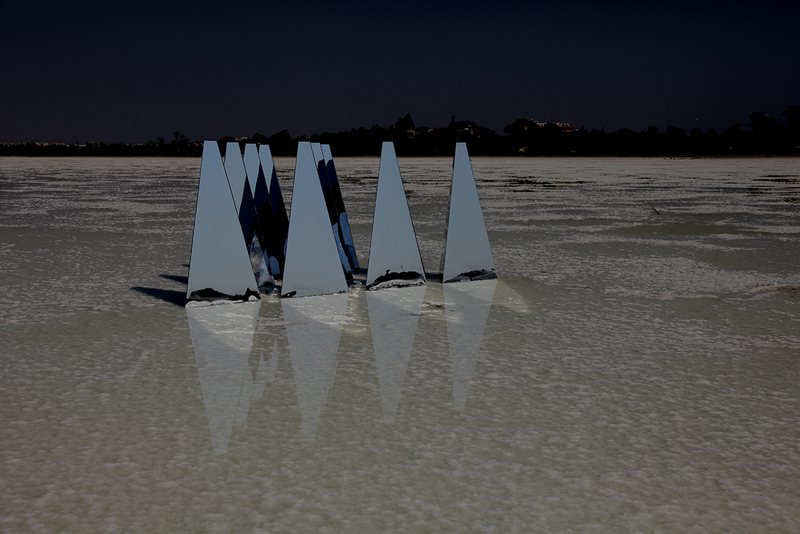 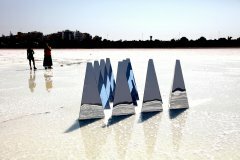 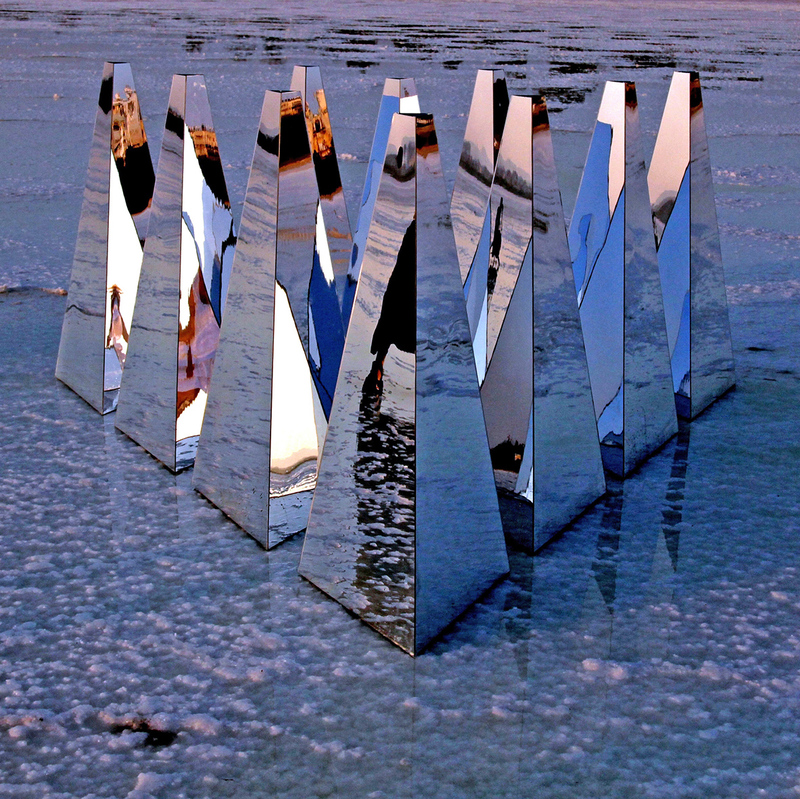 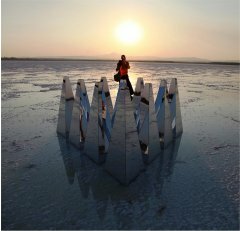 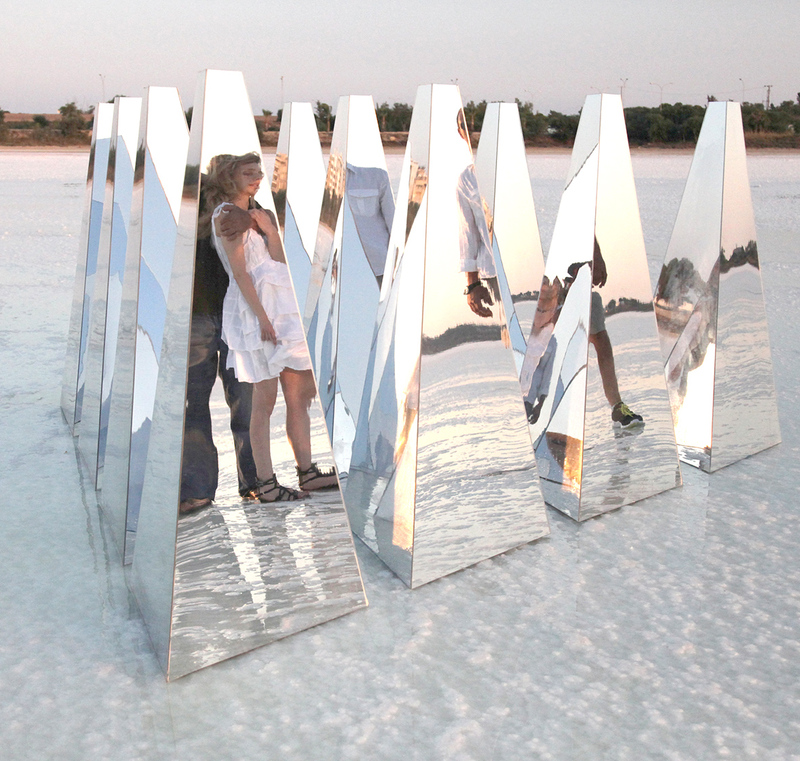 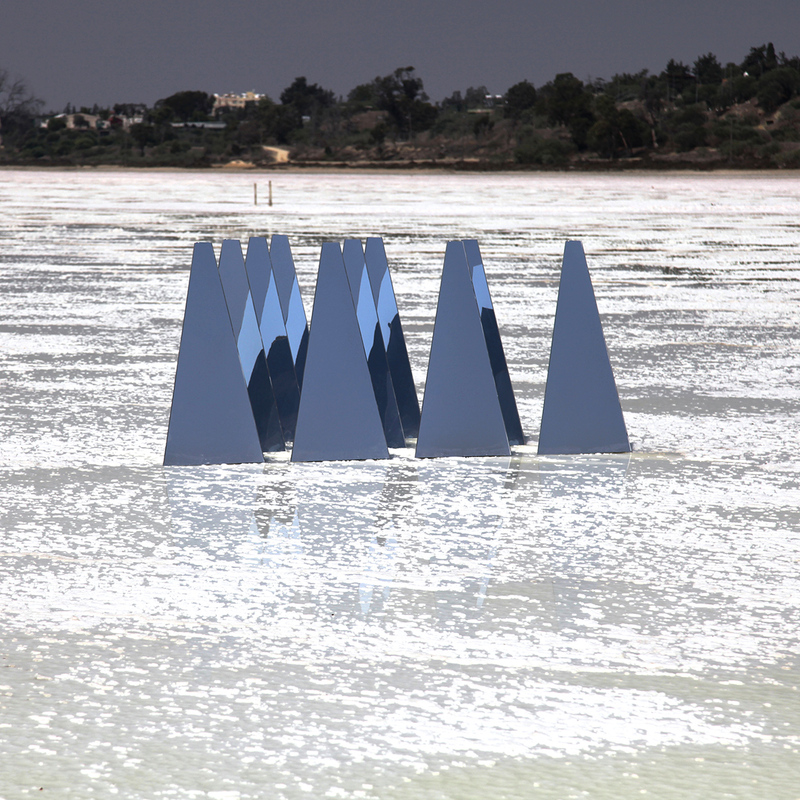 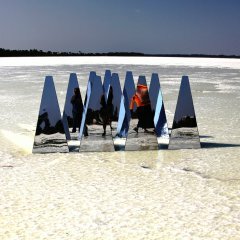 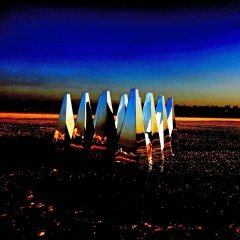 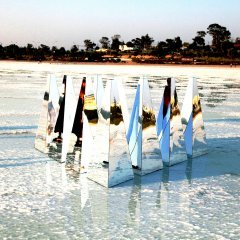 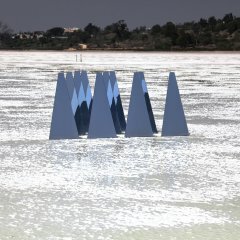 The weather conditions, different light, changing reflections, and gradual alteration of the work from the salt, is recorded in photos and video.